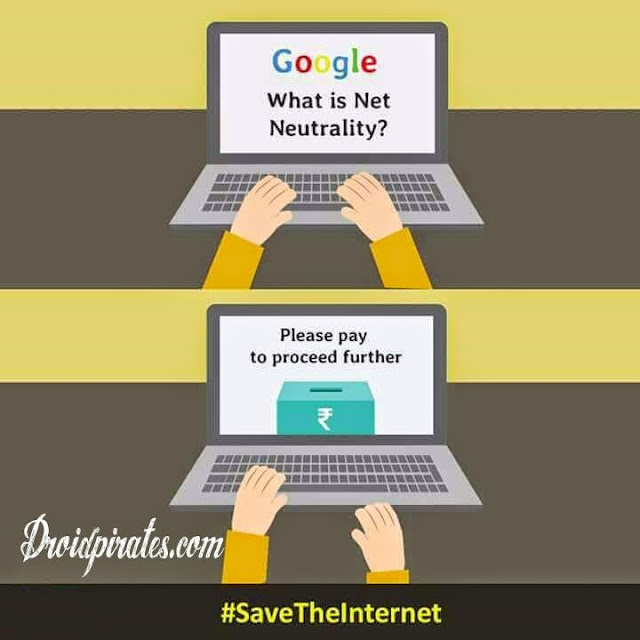 Net neutrality is a provision that stops discrimination on internet. If net neutrality is gone,the companies can decide the cost of internet freely.no provisions to stop them.we believe in an open internet. In the absence of net neutrality, we will have to pay for each website. That is. One datapack for one or a group of website(s). Net neutrality is the guiding concept behind everything that we get to do on the Web. Right now, there are no restrictions of any kind on access to content on the Web, no restrictions on downloads or uploads, and no restrictions on communication methods (email, chat, IM, etc.) Net neutrality is the assurance that access to the Web and its content will not be blocked, slowed down, or sped up depending on where that access is based or who owns the access point(s). we support net neutrality and we will stop at nothing to save netneutrality.